Its origin, history of copies and translations, structure, theme, numerical design, fulfilled prophecies, scientific accuracy, proofs of inspiration and suggestions as to its study. There is no book like the Bible. It is a universal book and the greatest traveler in the world. It is seen in the palace and in the humble cottage and read by emperors and beggars, giving comfort, light, and salvation to millions. It has been marvelously preserved for us down through the centuries in spite of Satan's many fierce and fiery efforts to destroy it. Many have been martyred for it, choosing rather to die than to deny its precious truths. 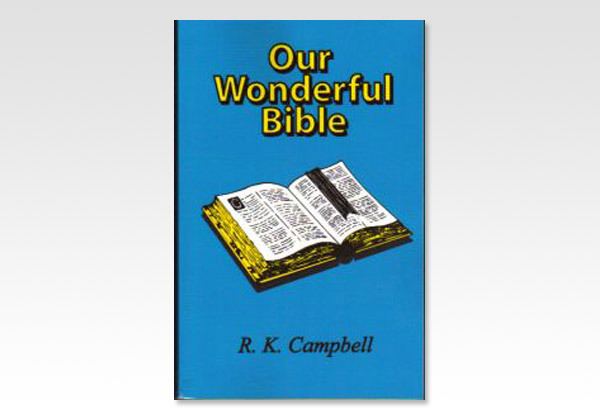 This book also gives a little history of our English Bible, and the proofs, within the Scriptures and without, of its divine origin and inspiration. May the word of God become more valuable and wonderful to us all as we ponder its marvelous contents and history.